This week we recommend you to start with a question: "Tiny Components: What Can Go Wrong?" and seek for an answer with Scott Domes. Discover how using the Single Responsibility Principle can help you to build better apps. Next story will mostly be interesting for React developers, but others may learn a lot from it as well. Explore "How to Build a React Progressive Web Application (PWA)" by Chidume Nnamdi. We can recommend another interesting article for React developers that would like to experiment with TypeScript, "Why and How to use TypeScript in your React App?" by Mahesh Haldar. Using the Single Responsibility Principle to build better apps The advantage of the component system in React (and view libraries like it) is that your UI gets split into small, digestible, reusable chunks. Each component is usually compact (100-200 lines), a size which is easy for other developers to understand and modify. A deep, comprehensive guide with live code examples If you aren't talking about PWAs you are seriously missing out. PWAs in recent years has grown to be the most adopted optimization trick in the software industry. Not only optimization benefits but a plethora lot of goodies: Progressive enhancement: It works for every user no matter the browser choice of the user. If you're into web development I'm betting that you've heard or read something like "React vs Vue vs Angular" comparison. It's just so common that you can't get around it. These MVC frameworks and UI libraries have become so popular that you can compare them to the jQuery level of popularity from a couple of years ago. Note: This article was originally written for my personal blog. I am republishing it here for the DEV community. Server side rendering, abbreviated to SSR, is a commonly misunderstood concept. What is it, and why should you bother learning it? I hope to answer those questions with a story on the origins of server side rendering. Ben Nadel explores the creation of a simple component-based SVG icon system in Angular 7.2.0. This approach uses the Webpack loader, "svg-sprite-loader", to automatically extract and embed an SVG Sprite which is then referenced by his AppIconComponent to create dynamic SVG icons. Starting with iOS 10, Safari on mobile (iPhone and iPad) started allowing developers to autoplay videos inline provided the video you are trying to play meets certain conditions. Before that, your video would not auto play inline, and when it would play, it would play full screen only. React Hooks in 5 Minutes! A direct API to methods we access on Component class instances. This means we don't need classes to create stateful components 🎉 A big sell for hooks is how we can extract, share and test that stateful logic. You may be familiar with Higher Order Components and props. You're probably getting tired of reinventing the wheel like me whose always coding a validation check in each field whether it follows the correct format like emails, or whether first and last names have values in it. What's worse when you're using React and you're just a first-timer in the ecosystem, you have the tendency to think of form validations the React way. Let's talk about user interactions with the UI, specifically about mobile ones: Dragging, swapping, pinching gestures are natural in mobile apps nowadays. It's not trivial to handle them well, but they really make UIs outstand when done right. With react-native we gained an abstraction layer that allows us to tackle the problem with the same code for iOS and Android. I was intrigued after watching Peter Tichy's video tutorial in which he recreates the interactive animation of this website. I decided to build the same but with the hot new tech like React Hooks, CSS custom properties, clip-path and CSS Modules. Ben Nadel considers the topics of Dependency-Injection (DI) and Inversion of Control (IoC) in a Vue.js application. And, explores the use of a "service barrel" to create a de facto Dependency-Injection container that allows for more flexible services with much lower coupling. This article was originally published on the Okta developer blog. Thank you for supporting the partners who make SitePoint possible. If you've done any web development with Node in the last few years, you've probably used Express. Even if you haven't used it directly, many frameworks meant to make web development even simpler are still built on Express. In this article, I want to show off the flexibility and real power of amCharts 4. We're going to learn how to combine multiple charts that run together with animations that form a movie experience. azu Jan 19 ・2 min readJest is useful tool for snapshot testing. Snapshot testing is used in many library. For example, prettier use snapshot testings. 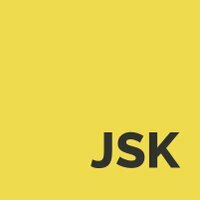 I want to write snapshots testing without Jest. In such a case, I often use following template code. For example, following code work on Mocha. Recently I was reviewing a sample project at work for a potential engineering candidate and was completely blown away by the prompt I was presented with from the command-line script. I was given a list of items to pick from and was able to arrow through them (as well as use j and k) and it was just magnificent. Today we continue using Postgres with Express and Typescript. Since Postgres is a relational database, relationships are an essential part of working with it, and we cover it today. To handle it we use TypeORM. The code for the tutorial is in the express-typescript repository in the postgres branch.